» Japanese netizens are ready to visit a Final Fantasy world, and you can go too! 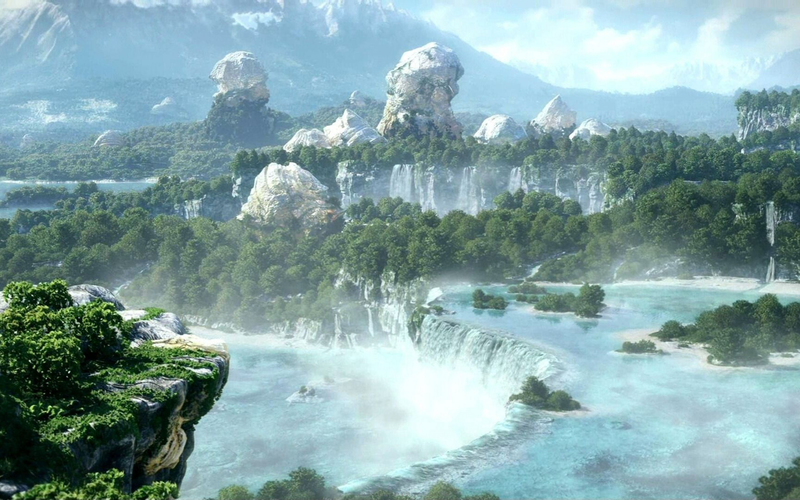 RPGs like Square Enix’s Final Fantasy take us to faraway worlds with extraordinarily picturesque locations; places that couldn’t possibly exist on this planet. Mother Earth would have to be a scenery designer to create locales as visually stunning as RPGs do. But Earth is a much stranger place than we can imagine, and some of the craziest “must be photoshopped” places turn out to be just the simple strangeness of our planet. Luckily for us, if you ever wanted to visit a place that would fit perfectly into a Final Fantasy world, Earth has you covered. Watch yourself when you stand up, because your jaws are about to be all over the floor. Welcome to Iceland! Situated in the North Atlantic and with a population of just 325,671, it’s a country with such an interesting volcanic and geological history that it can produce stunning scenery like this particularly breathtaking place called Seljalandsfoss. Described as one of the most picturesque waterfalls in the world, it’s easy to see how a place like this could inspire an RPG world, especially a Final Fantasy one. What sets this waterfall apart from so many others is that you can walk behind it. By doing so, the atmosphere of the area also completely changes and it’s like you’re looking at the world with a whole new perspective. The road leading to it is delightfully pleasant too, the Ring Road. If you are ready to hop on a plane to Iceland so you can step into a magical world like Hydaelyn (Final Fantasy 14), your travel agents are standing by. Just be sure you do your research into all that Iceland has to offer. You probably don’t want to mix up your Hangikjöt (Smoked Lamb) from your Svið (Singed and boiled Sheep Head).